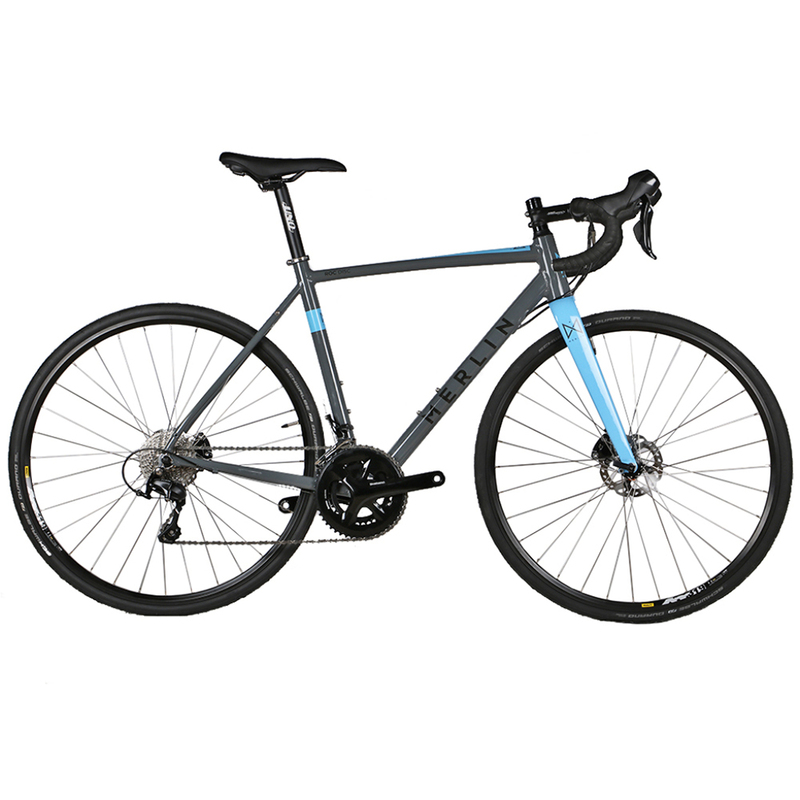 The Merlin ROC Disc road bike featuring Shimano 105 hydraulic disc brakes is a highly versatile, efficient all-rounder that takes the braking surface away from the rim of the wheel and enhances tyre clearance within the frame enabling you to fit up to 30c width tyres with room for a full mudguard or a 35mm gravel tyre with no mudguard. This type of versatile all-weather, mixed-terrain road bike has really caught on over the last few years for obvious reasons. With fatter tyres and enhanced clearance between tyre and frame you don't have to stick to smooth tarmac roads; with a full complement of mounts the bike is ready to sport mudguards making it the perfect wet weather road bike. The Merlin ROC Disc features a triple-butted 6061 Aluminium frame with a comfortable, confident geometry that encourages all-day riding, a carbon fork that stops the ride feeling too harsh when you’re on the ruff-stuff and quality Shimano 105 hydraulic disc brakes that deliver consistent, controllable braking in all weathers and riding conditions. A dependable, precise shifting Shimano 105 groupset with wide-ratio gearing completes the package. PLEASE NOTE: All of our bikes are built to order. This usually takes between 8-10 working days depending on time of year. Image of the bike with full mudguards is for illustration purposes only, these are not included with the bike and are sold separatly. Great looking bike . 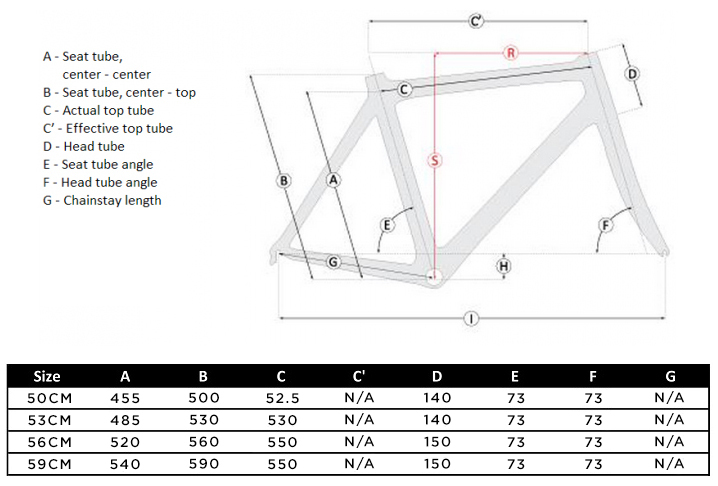 I ordered the 56cm frame which was the perfect fit for me at 6'1". The disc brakes are excellent and a big improvement on calipers. The 28mm tyres soak up the bumps well and there is loads of frame clearance. I fitted mudguards which was fiddly and some adaptation was needed to attach to the forks as the mounting holes are half way up on the inside.. The finishing kit is top notch and represents good value. Shimano 105 except for the chainwheel. Mine weighed in at 10.4kg which I think is pretty reasonable. Its a winner! This is my first road bike and I'm really impressed with the ride quality. I was expecting poor ride on nonpaved roads (I've got 1km to civilization) especially without any suspension, but turns out I'm not missing any! Bike looks way betters that on photos, and comfort is way better than on my old mountain bike. I managed to assemble the bike myself, although I'd really like to see some simple instructions (yeah, I got used to IKEA ;)). I needed to adjust front and rear derailleurs a bit as chain was making noises on some gears (low front + low rear and high front + any rear).